This portable wine box is a great way to pack up your wine, glasses, and snacks for a little picnic getaway. Fold down door doubles as a food prep and serving area. 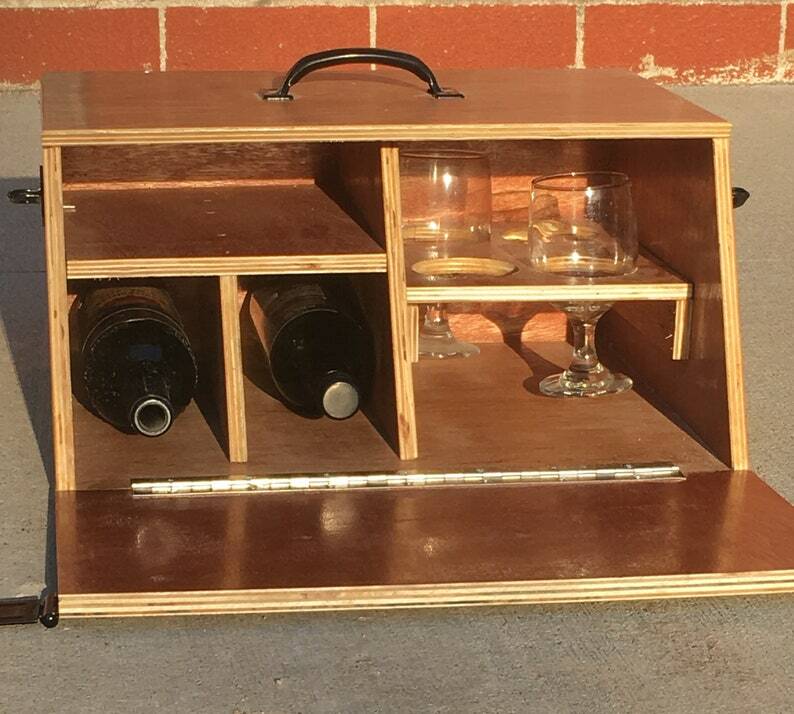 Perfect for tailgating, picnicking, camping, backyard grill outs, taking to the beach, romantic getaways, etc. Fits two 750 ml wine bottles and 4 standard sized wine glasses (not included). It arrived safely and I am happy with my purchase. Adorable and quick shipping. Thanks! I gladly accept PayPal and all major credit cards. I appreciate a payment made upon checkout. Due to the different sizes and shapes of all the items, shipping costs and methods will vary greatly. Your order will be shipped within 1-2 Business days of purchase. I sell antique, vintage, and collectible items. Please have reasonable expectations as these items are not new. Please be aware that there may be some variation in color due to differing computer screen resolutions.